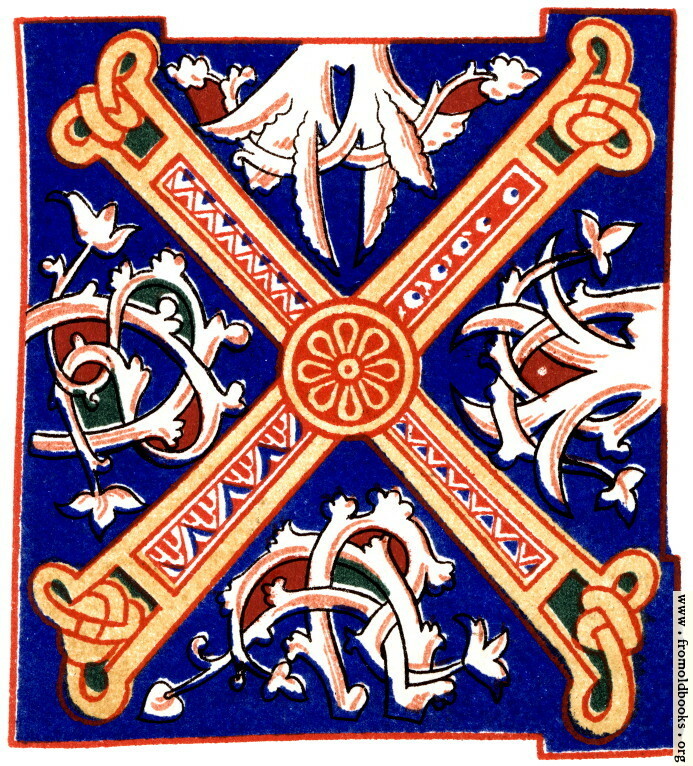 Decorative initial letter “X” from 11th century. A beautiful rich red letter X on a deep blue background, with a delicate peach fill. 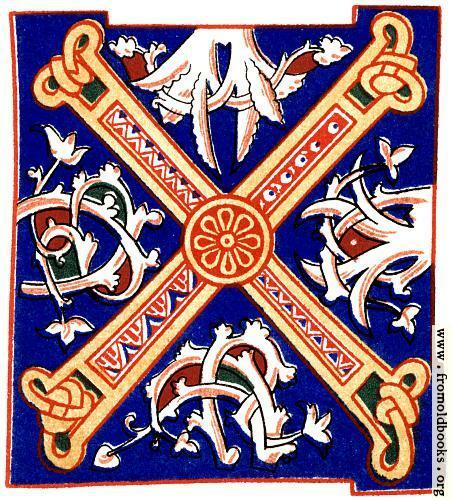 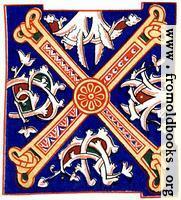 This is reproduced (in the book) from an 11th century hand-illuminated manuscript, along with comments that suggest the author didn’t like the colours!